Christmas is a significant celebration for various people around the world for different reasons. Whether it’s seen as religious, traditional or something else, Christmas time for many of us it is a time of celebration that we look forward to every year. Our centres are both multicultural and multinational places where your child can experience different cultures and their diverse celebrations and customs. This inspires your child’s ability to empathise with others and expand their world view. At the foundation of celebrations like Christmas, Ramadan, Tet, Diwali, Halloween, Kwanza, Hannukah is the idea of a community. Being part of a community helps children develop a sense of belonging and enables them to better understand their rights and responsibilities as part of one. For example, cultural festivals such as the Indian Festival of Light: Diwali allows children from the Indian culture to share their customs and values with their peers who many not have experienced it otherwise. Knowing that they can learn and understand another culture through other communities is an excellent way for your child to grow. Experiencing other cultures and customs through dress, food, dance, and music are great ways of introducing your child to the similarities and differences between people allowing them to become more accepting, open member of society. Tolerance, acceptance, kindness, and support are all potential outcomes of cultural experiences. This is the approach we take in our centres when a family or community member expresses their wish to share a part of their culture with us. It is an amazing opportunity and privilege and one that children are very lucky to be able to embrace and experience. 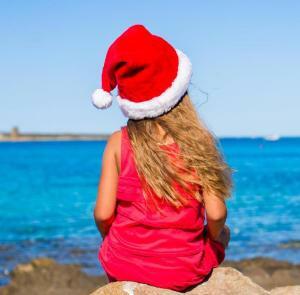 As Christmas swiftly approaches, remember that this time is not necessarily a religious holiday, or a traditional one for everyone: but is a festive time that is celebrated across the wider Australian community. Some children in our centres who do not celebrate Christmas customarily may experience it for the first time in early education. This experience is one that will show your child how to be compassionate, tolerate others and their backgrounds and be willing to share part of their world with someone else. This helps develop both children’s senses of identity and is one of many beautiful things that come from early childhood education.